Your Wedding Ceremony is a celebration of the love and commitment that two people share with each other. It is an intimate moment shared with friends and family to mark the beginning of your new life together. Finding that special person to assist in this most intimate moment can make a significant difference to the success of this day, leaving you with memories you will cherish forever! 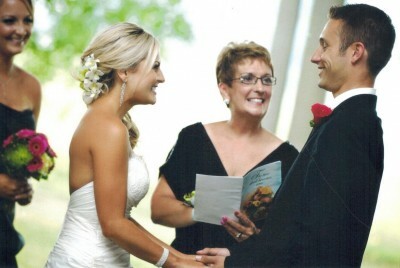 I will work with you to plan a religious or personalized ceremony that will address what matters most to you. Call or email me today to discuss your wishes and options.